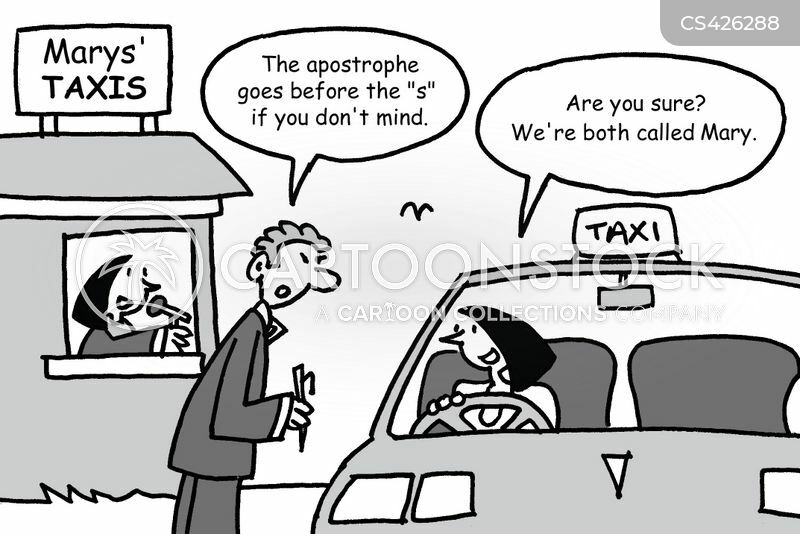 "There's been one change to the menu. 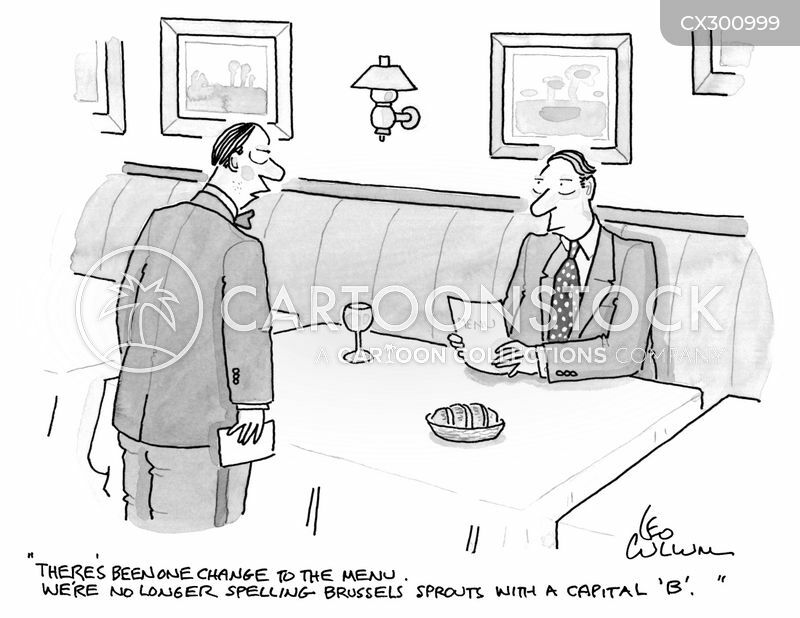 We're no longer spelling brussels sprouts with a capital 'B'." 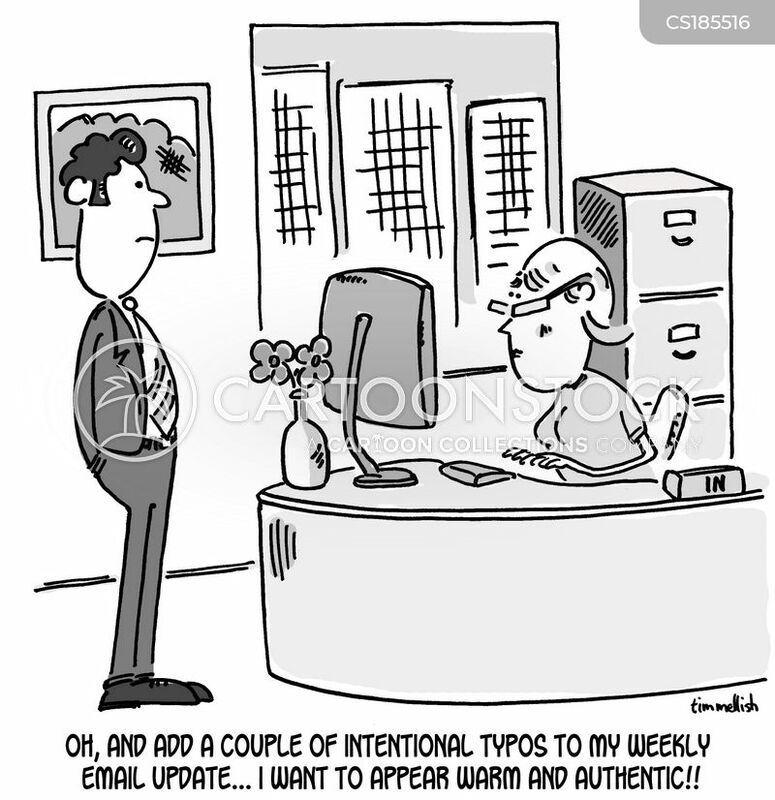 "Oh, and add a couple of intentional typos to my weekly email update...I want to appear warm and authentic!!" 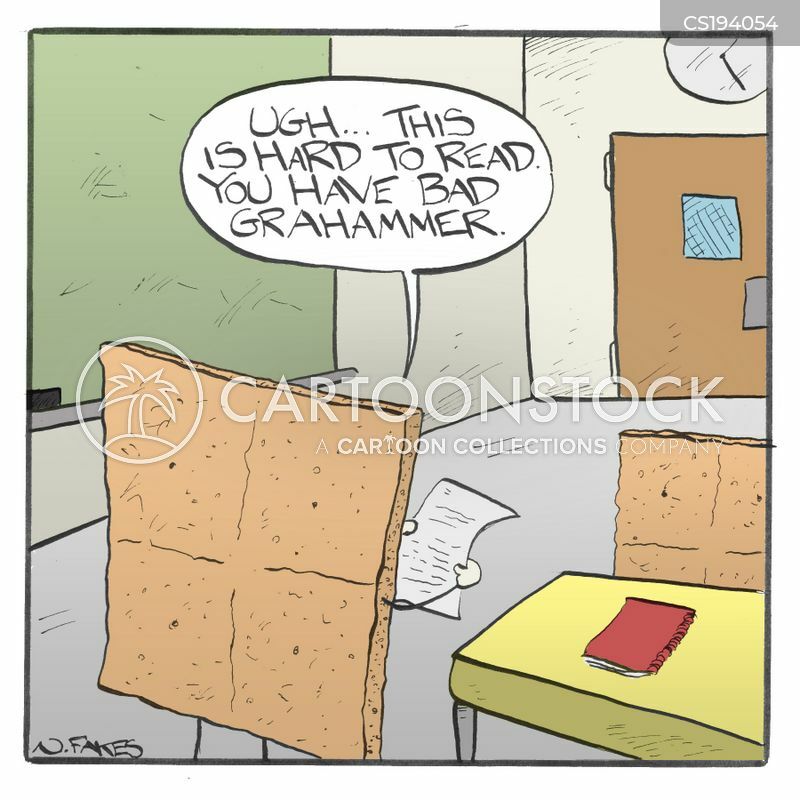 "Ugh...this is hard to read you have bad grahammer." 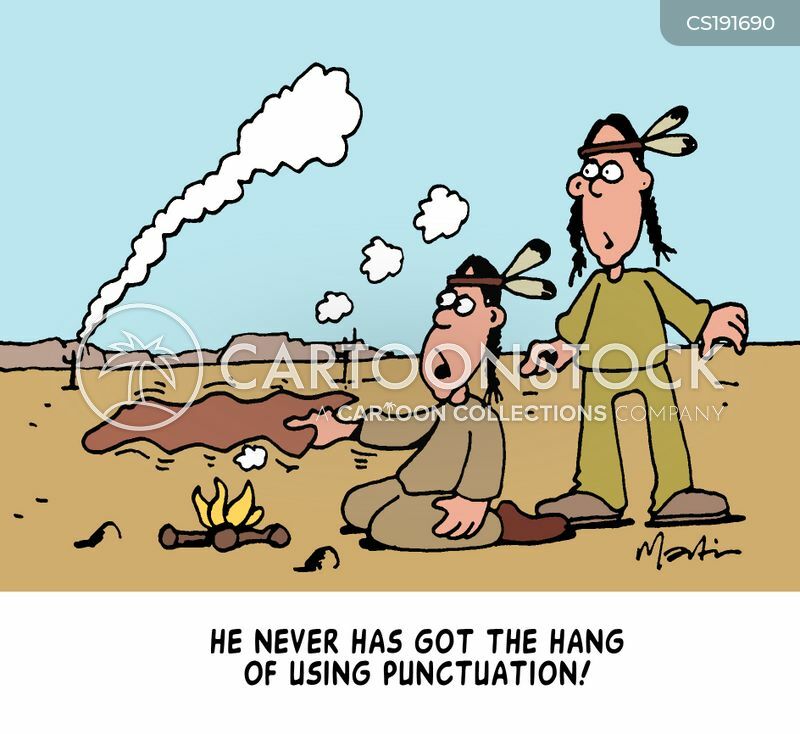 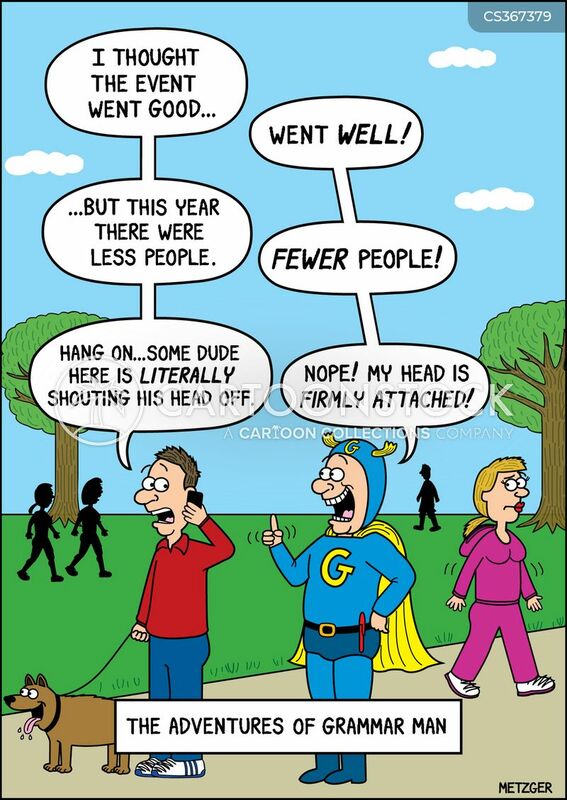 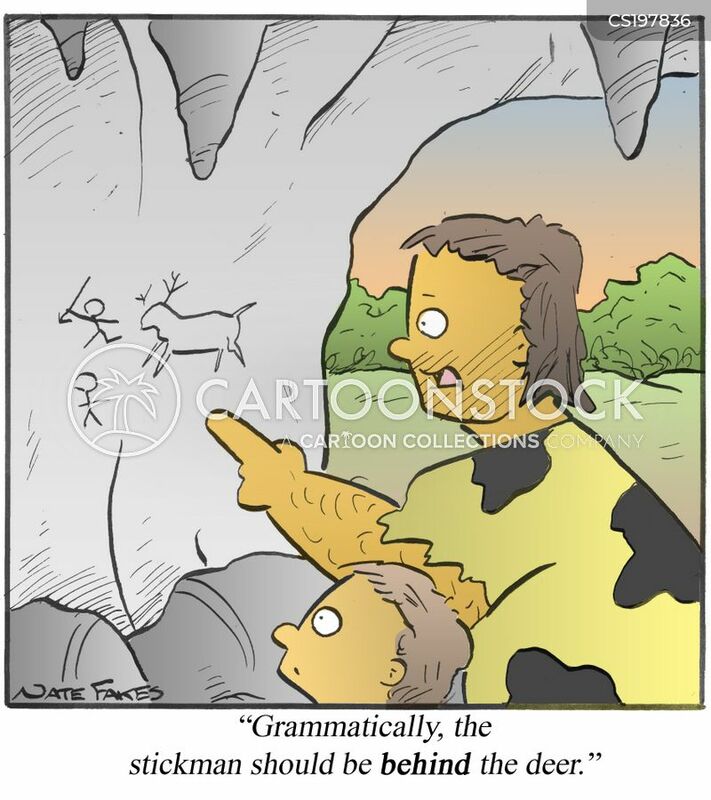 "Grammatically, the stickman should be behind the deer." 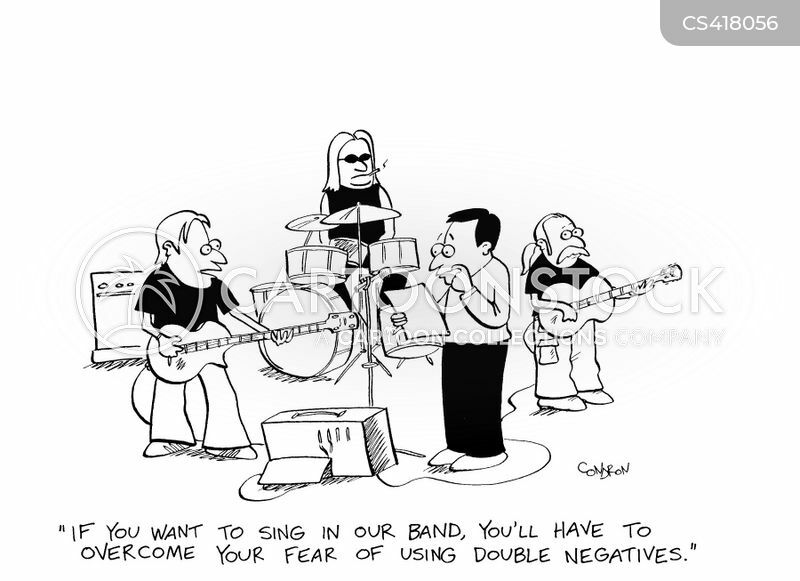 "If you want to sing in our band, you'll have to overcome your fear of using double negatives." 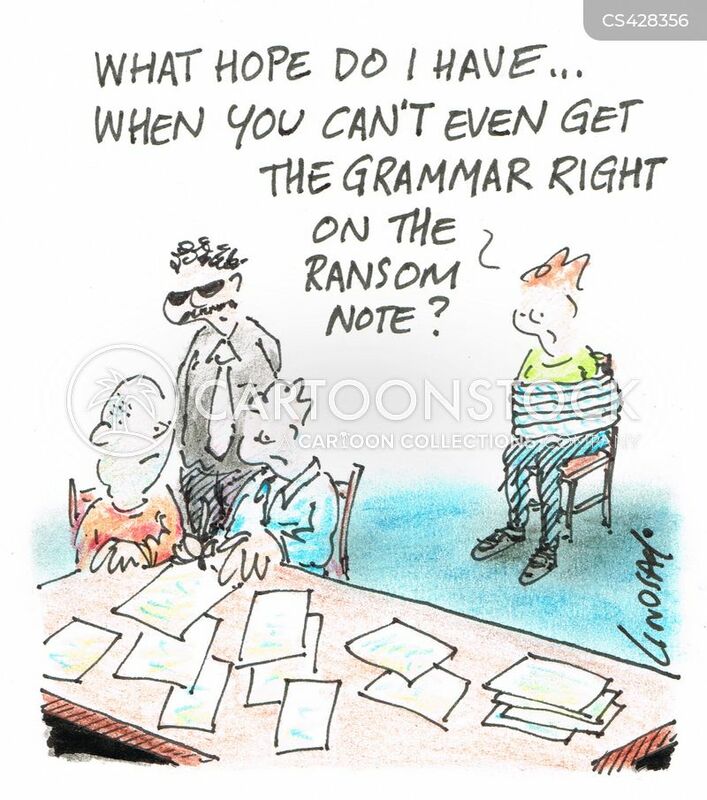 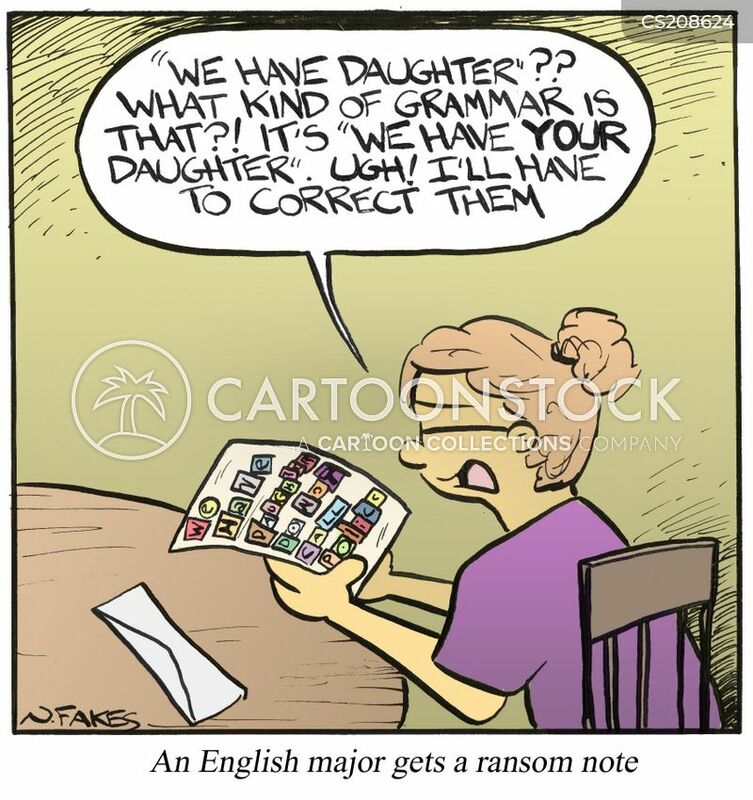 "What hope do I have... when you can't even get the grammar right on the ransom note?" 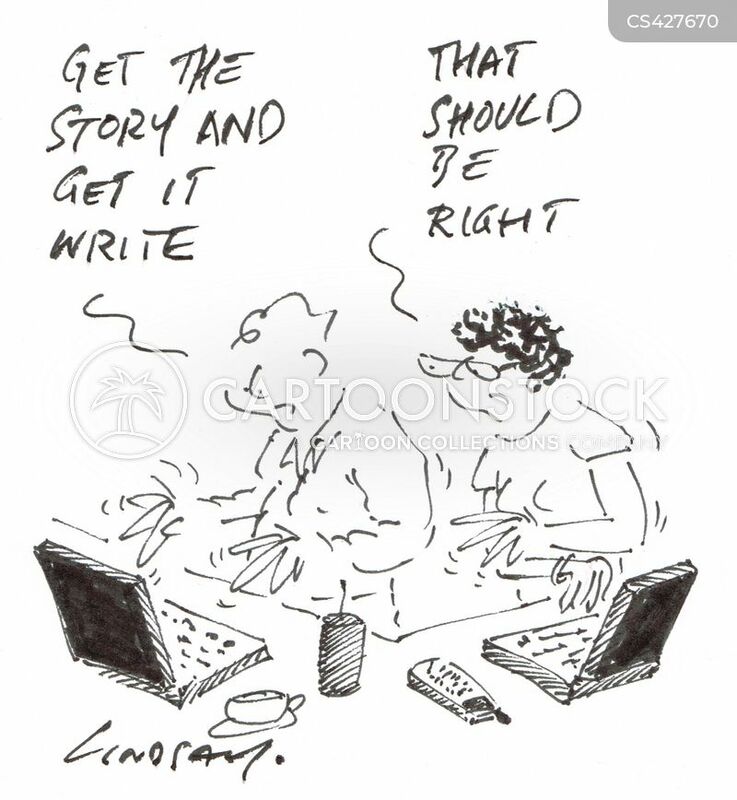 "Get the story and get it write." 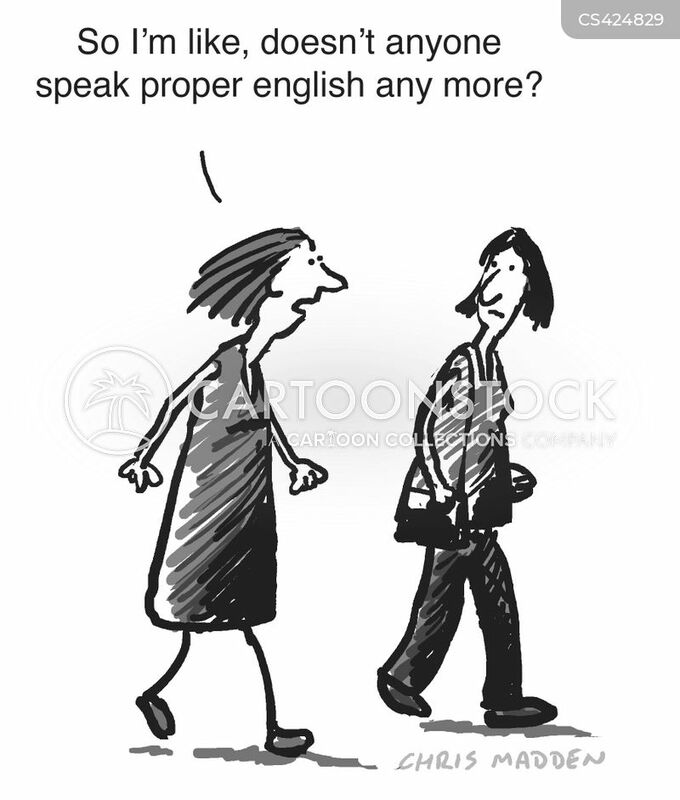 "So I'm like, doesn't anyone speak proper English any more?" 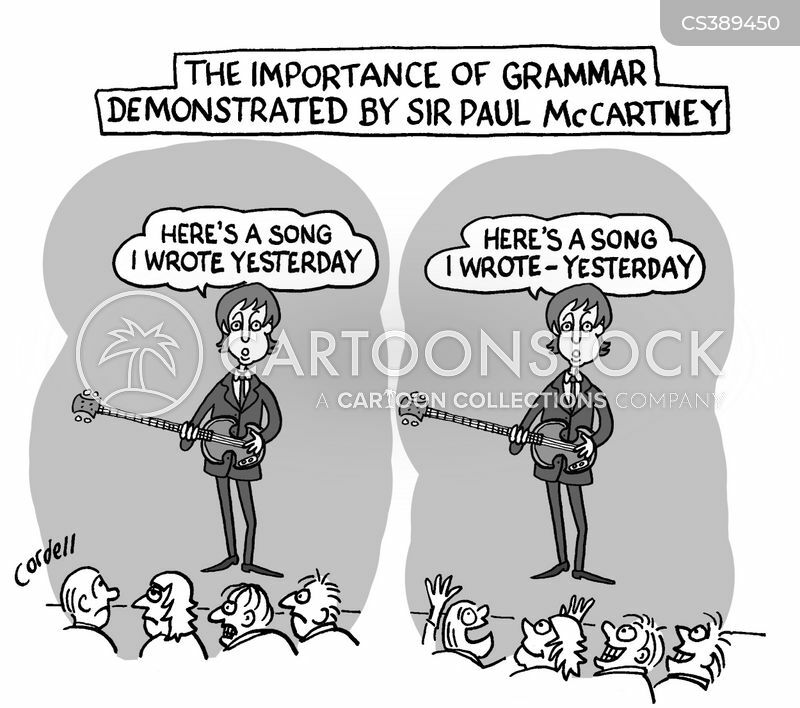 "The apostrophe goes before the s..."
The Importance of Grammar Demonstrated By Sir Paul McCartney. 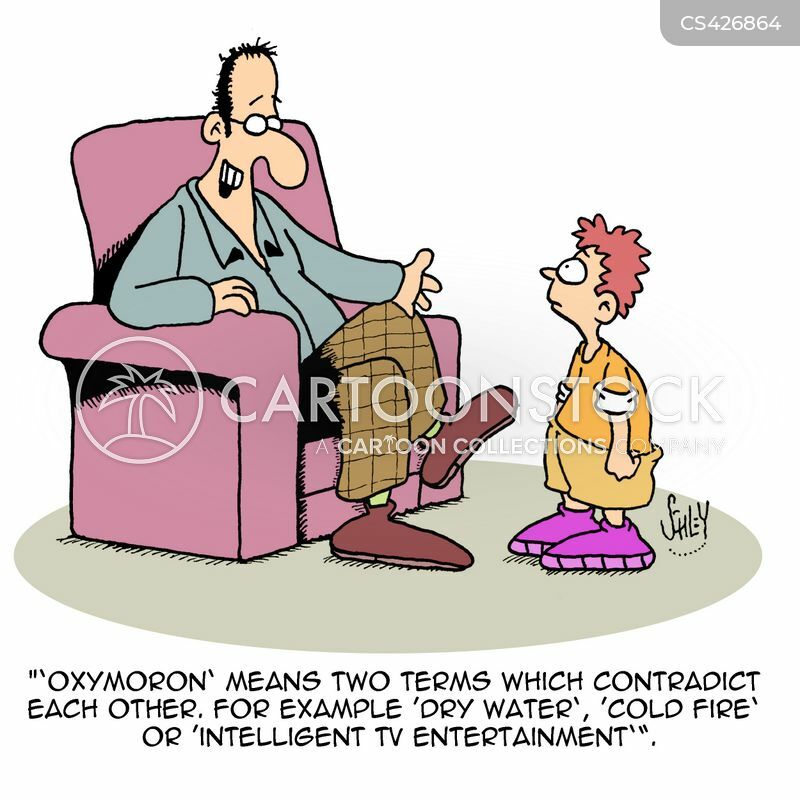 "'Oxymoron' means two terms which contradict eather other. 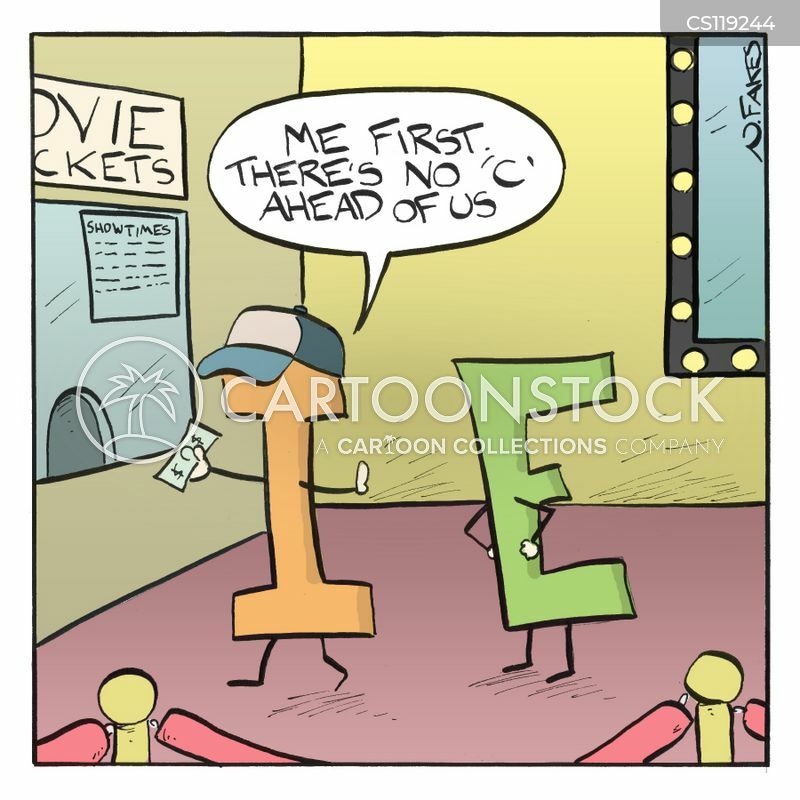 For example . 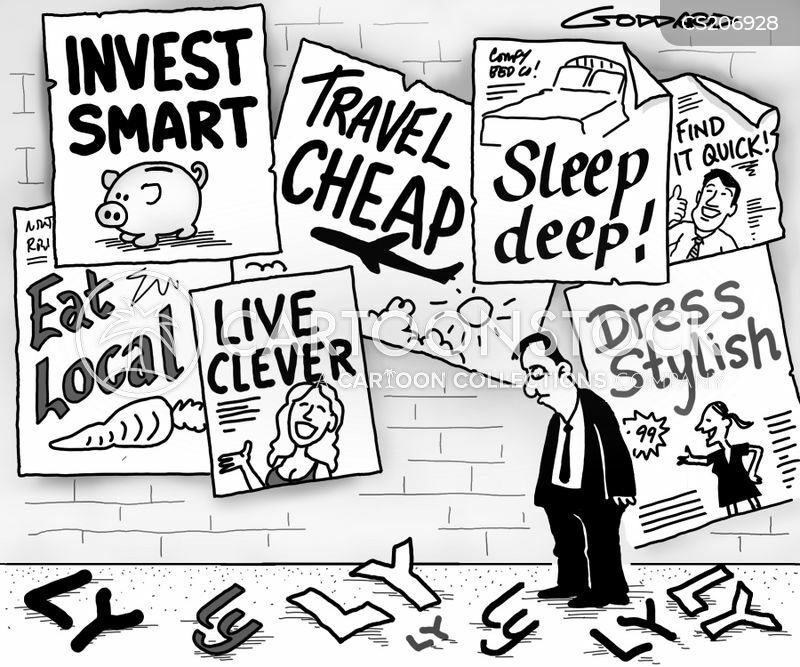 . . 'Intelligent TV entertainment'." 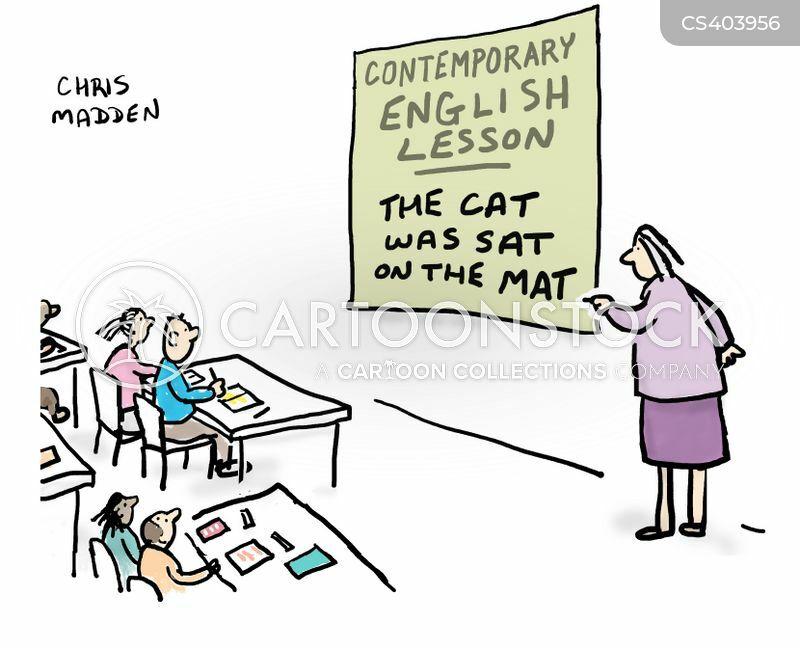 Contemporary English Lesson: The Cat was Sat on the Mat. 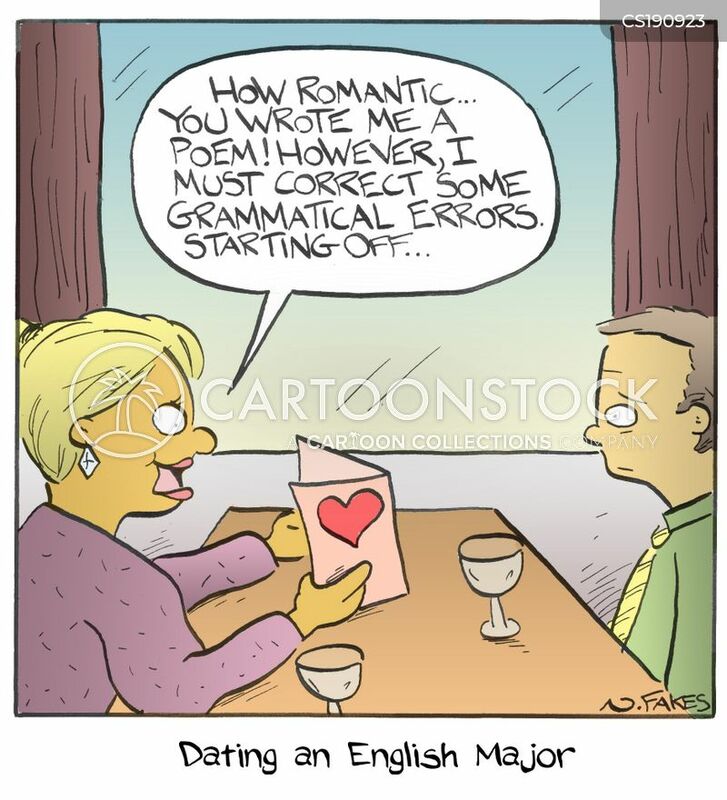 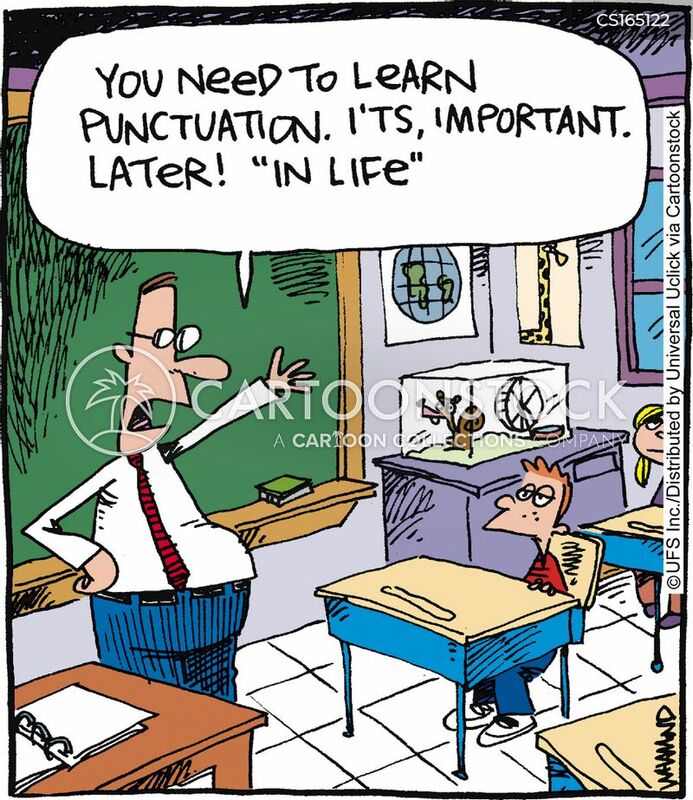 Grammar, importance of good: 'You have broken my wittle heart,' sobbed Penelope, evidently still unaware of her appalling grammatical faults. 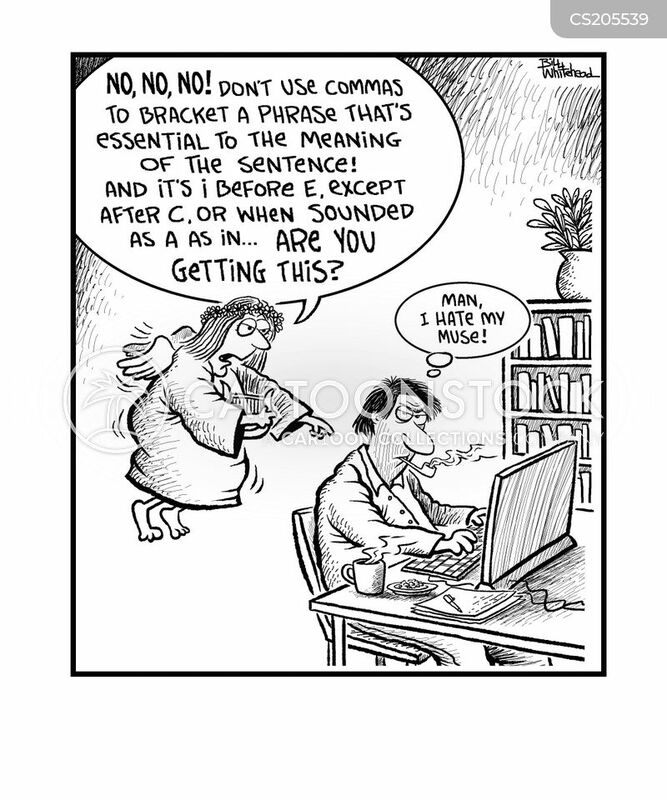 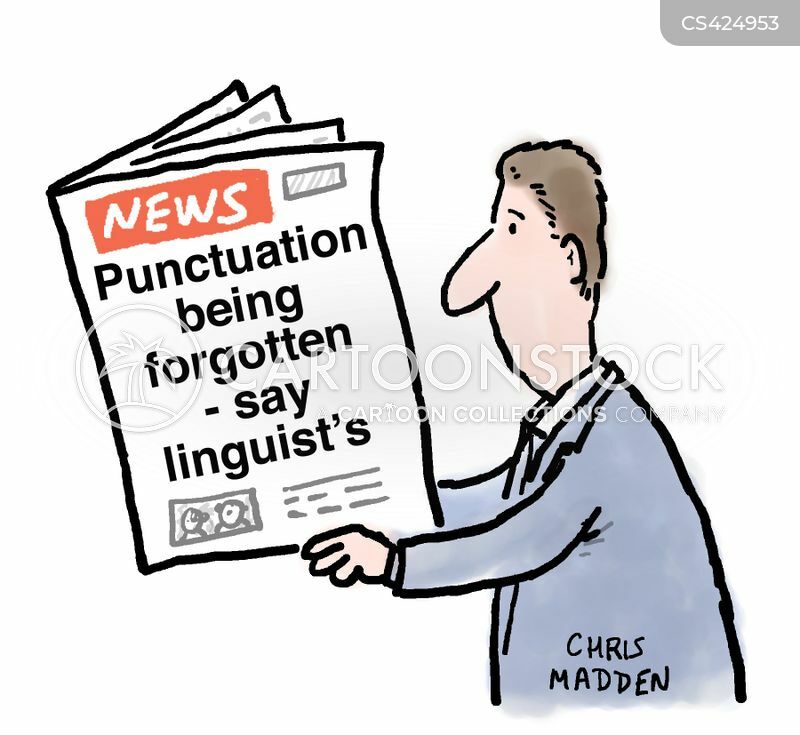 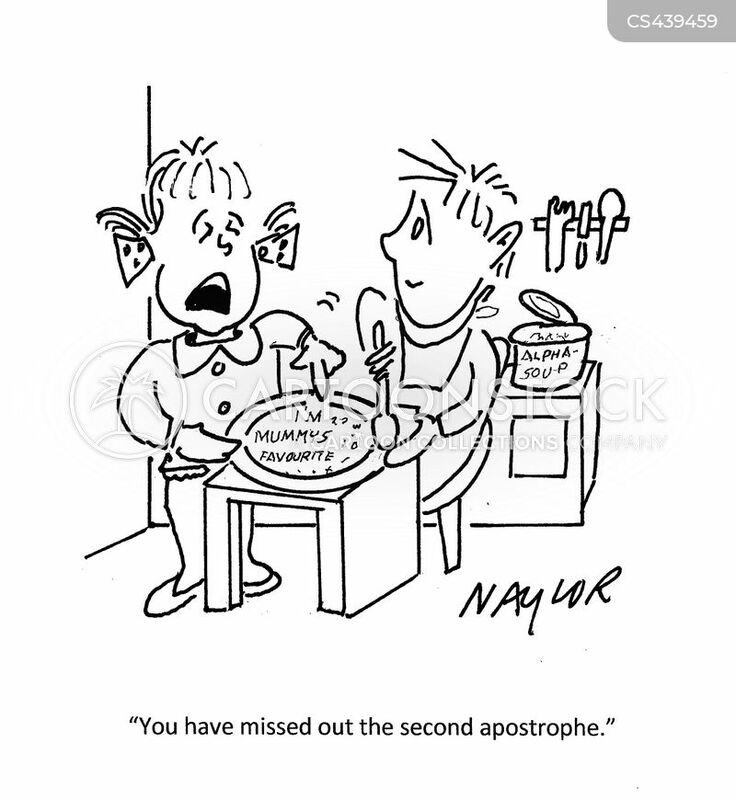 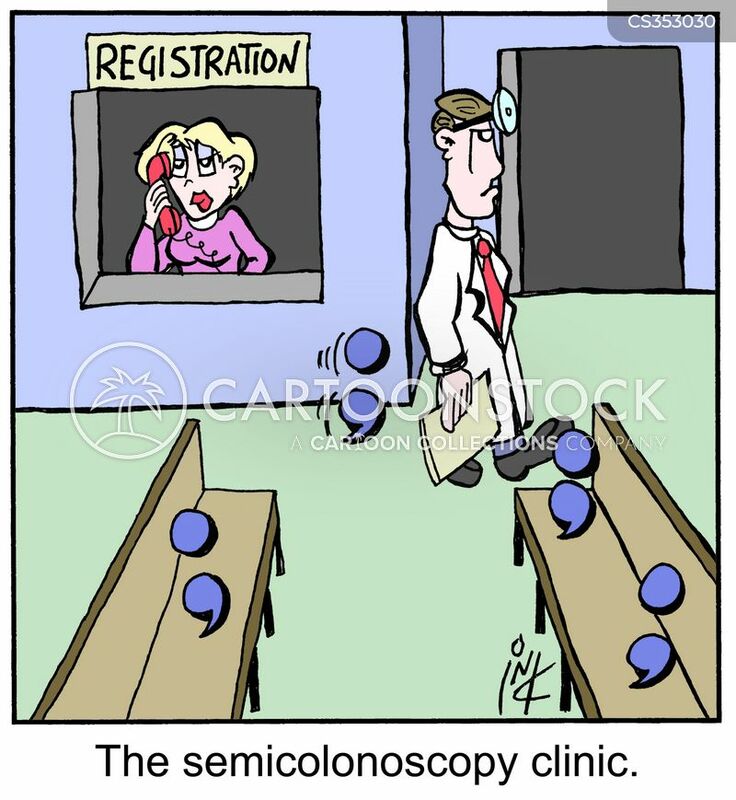 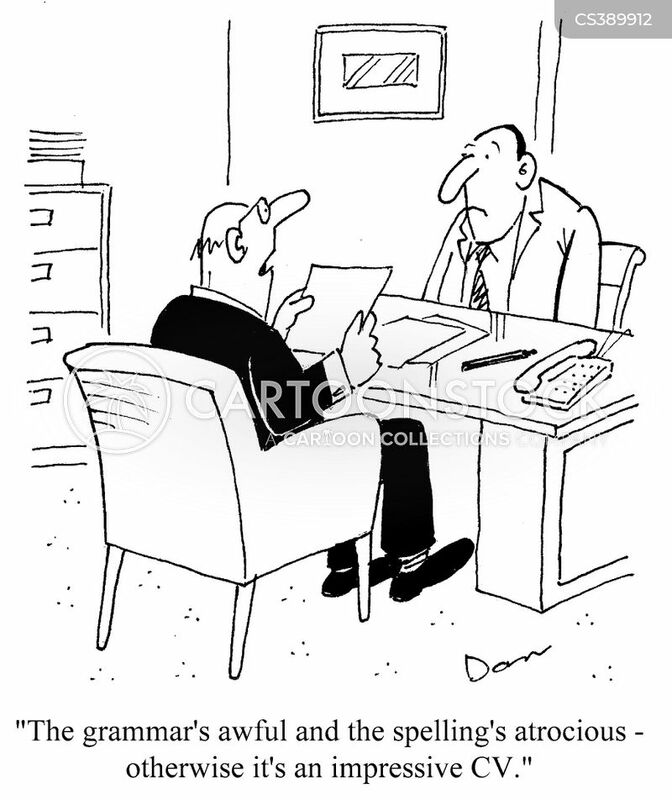 "You have missed out the second apostrophe."